When traveling, what we usually remember the most is the people we met in each place we visited and mostly, what we learned while we were there. 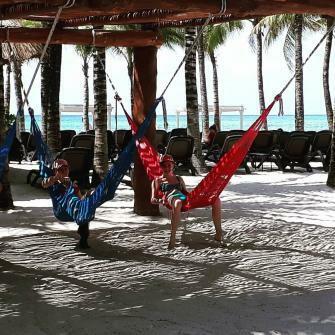 At Sandos, our commitment and essence is to create unique experiences which go much further than just simple vacations. We wish to prove that we can combine all aspects of travel in one place, creating a richer experience for visitors. Sandos all inclusive resorts are located in some of the the best tourist destinations in the world, focusing on comfort and quality service. 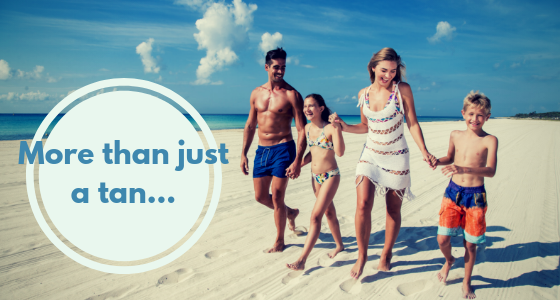 In fact, our guests agree there’s always a “different” factor that makes them want to come back. Reducing the ecological footprint and to promote sustainable practices where even our beloved guests may participate and get involved is our main commitment. Little by little, each of us can make a difference and we truly believe that even the smallest things may cause a big impact in preserving our natural treasures. You can say NO to straws when visiting any of our hotels, several info videos are being played regularely on the resorts televisions and screens on many good practices such as how using ecological sunscreen on the beach can protect the oceans, or just that the fact of separating inorganic waste in the hotel or keep your room’s door closed when the AC is on, is actually a big help. We are sure that with these ideas we can all create a positive impact to Earth. That’s how we are mainly differentiated from the rest of hotel chains. Unfortunately, there are many hotel companies which produce big amounts of waste which is then poorly disposed off, causing a really negative impact on the environment. 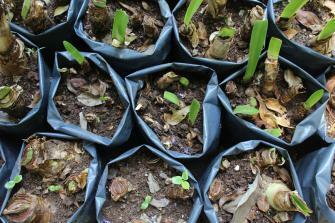 Our goal is for our guests to take home some of those good ecological practices we promote. 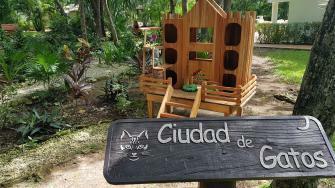 And not only that, we have also developed many other sustainable ideas, such as the beach cleanups campaigns, or the Cat City at Sandos Playacar, which is full of little houses for cats, so they better enjoy our green areas and be taken care of. If this wasn’t enough, in every Sandos Hotel in Mexico there is an alliance with “Pack for a Purpose” to support local communities by receiving donations by guests such as shoes, clothing, or school items. We are constantly searching for a balance between the industrial, environmental and socio-cultural areas so our resources are used more efficiently; we want to respect the local culture and have a healthy interaction with the environment. This is our essence which can be perceived in every corner of our resorts, where pleasure and sustainability go hand in hand. Come to our beach resorts to experience a sustainable vacation surrounded by some of the most stunning natural sceneries! Together, we can care for the environment while enjoying their beauty. In the end, when traveling, what we remember the most is the people we met in each place we visit and mostly, what we learned while we were there. ← A brand new swimming pool with a water park …and much more!